We will first apply a cleaning solution to the tile and scrub the grout lines to help loosen the soil. 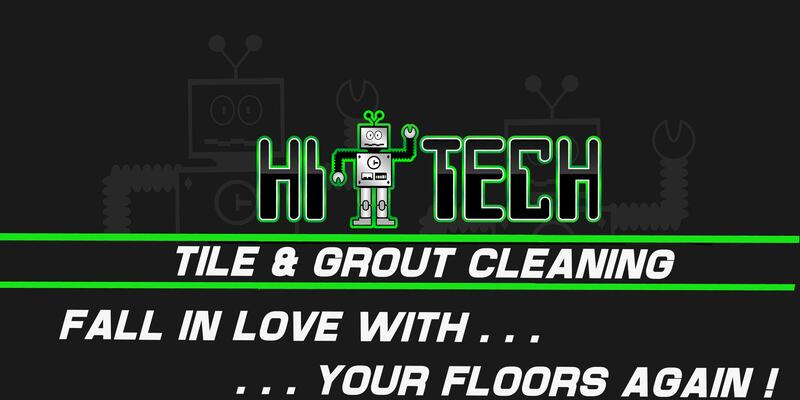 Our truck mounted cleaning machine power washes the floor to extract soil and grease from the pores of the tile and grout or other hard surface floors. The system generates water pressure of 400 up to 1500 P.S.I. and water temperature of approximately 200-230 degrees to loosen and extract years of soil and contaminants. Our tile & grout floor tool connects to a powerful vacuum hose, which adheres the cleaning disk to the floor, and confines the water spray inside the 14″ disk. There is virtually no over spray to worry about - no mess! The vacuum hose draws away the water, along with the dirt, to a containment tank on our truck, and we dispose of the wastes in accordance with EPA regulations. We can restore you tile and grout to approximately 80-90% of its original luster. Some stains, (red wines, koolaid, dyes ect) will not entirely come out as they have dyed the grout lines. But the combination of heat, water pressure, and detergent will remove most staining. One of the best things you can for your tile and grout floor after cleaning is to seal it so that you can maintain its amazing look longer. Our tile sealer penetrates into the grout making soil and liquids hard to penetrate and stain the grout, also making the soil easier to remove while maintaining it on your own. If your tile floor is BRAND NEW we can also apply the quality sealer to it - in fact we high recommend you do this as many installers do not apply and tile and grout sealant after they install your tile. Can't I clean it myself? 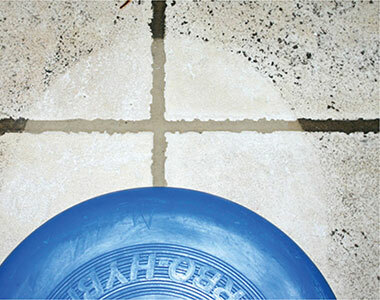 We have the education, training and tools to properly clean tile and grout, and apply the sealer we carry. There are many store bought sealers that leave sticky residues that may get on the tile face and they are difficult if not impossible to remove. When we apply our sealers we ensure the entire floor is protected, and the product is distributed evenly for maximum protection and efficiency. Yes we certainly do! We have a special hand held cleaning tool that delivers the same results as our floor tile cleaning tool. You get the same great no mess, no backache, and beautiful results for your tile counter tops. We can clean backsplashes as well but do not offer shower tile cleaning at this time. Should I apply wax to my tile and grout? We highly recommend you DO NOT do this. Wax will break down and eventually go away. While it breaks down it can flake, and discolor your tile and grout or stone, and can/will also impact the oils and soils that develop over time. Removing the wax from the floor is an expensive process, and usually a multiple day process depending on how big of an area. Does it need to be cleaned after sealing? Yes, absolutely! We will provide you with tips on how to keep your floor looking beautiful in between professional cleanings. We will also help and advise your to determine your frequency of having your tile and grout professionally cleaned.